Remember that time you caught the Golden Snitch and won the House Cup? Okay, maybe YOU didn’t, but it felt like you were there, goddamn it. 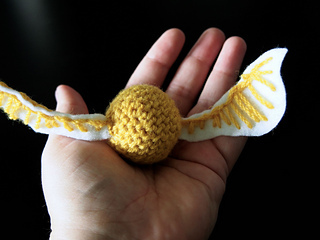 Recapture that feeling with this amigurumi Golden Snitch. 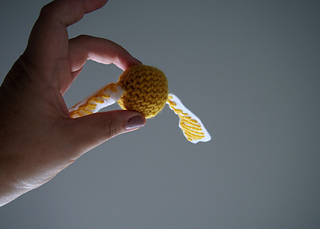 This pattern is perfect for amigurumi-newbies: it’s just a sphere with wings on. 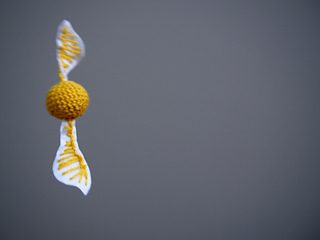 You need to know how to single crochet, increase, decrease, and read a pattern.